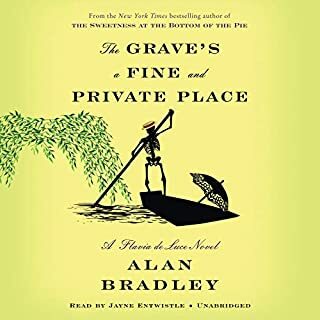 Another great Flavia De Luce story. Flavia de Luce - "part Harriet the Spy, part Violet Baudelaire from Lemony Snicket's A Series of Unfortunate Events" ( The New York Times Book Review) - takes her remarkable sleuthing prowess to the unexpectedly unsavory world of Canadian boarding schools in the captivating new mystery from New York Times best-selling author Alan Bradley. 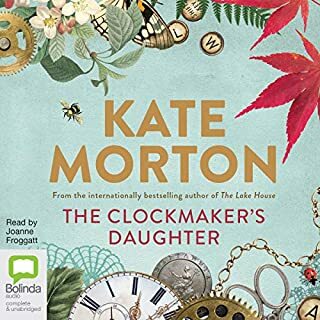 On a spring morning in 1951, 11-year-old chemist and aspiring detective Flavia de Luce gathers with her family at the railway station, awaiting the return of her long-lost mother, Harriet. 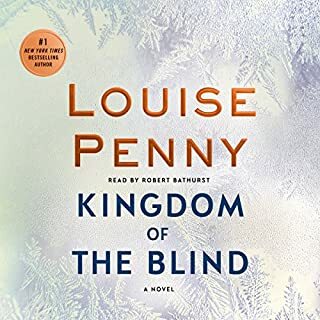 Yet upon the train’s arrival in the English village of Bishop’s Lacey, Flavia is approached by a tall stranger who whispers a cryptic message into her ear. Moments later, he is dead, mysteriously pushed under the train by someone in the crowd. Who was this man, what did his words mean, and why were they intended for Flavia? Back home at Buckshaw, the de Luces’ crumbling estate, Flavia puts her sleuthing skills to the test. 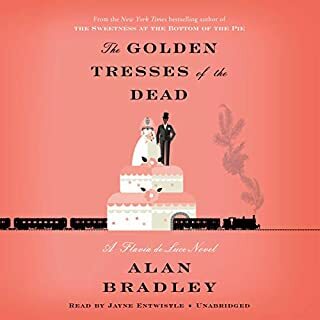 Hailed as "a combination of Eloise and Sherlock Holmes" by The Boston Globe, Flavia de Luce returns in a much anticipated new Christmas mystery from award-winning and New York Times best-selling author Alan Bradley. 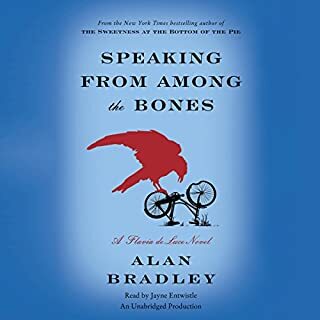 Only too eager to run an errand for the vicar's wife, Flavia hops on her trusty bicycle, Gladys, to deliver a message to a reclusive wood-carver. 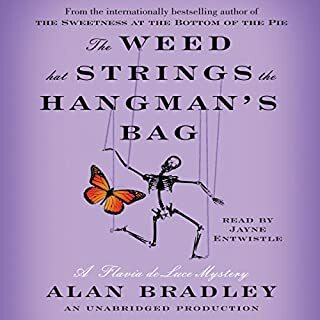 Finding the front door ajar, Flavia enters and stumbles upon the poor man's body hanging upside down on the back of his bedroom door. The only living creature in the house is a feline that shows little interest in the disturbing scene. Curiosity may not kill this cat, but Flavia is energized at the prospect of a new investigation. It's amazing what the discovery of a corpse can do for one's spirits. But what awaits Flavia will shake her to the very core. 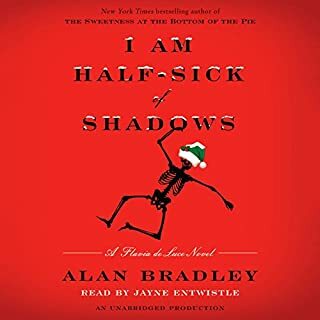 These are excellent audio books with Jayne Entwistle giving voice to Flavia in the way Jim Dale gives voice to Harry Potter. I can't hear it any other way. 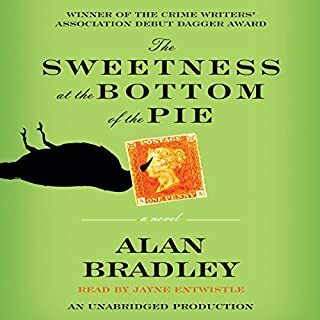 This was another fine addition to the series but I highly recommend starting with the first, The Sweetness at the Bottom of the Pie. 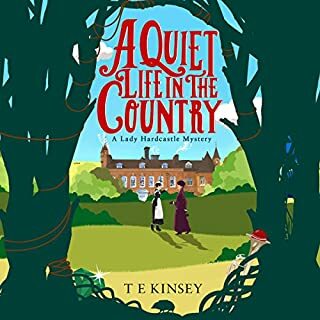 Set in post World War II England, the highly intelligent 11-year-old Flavia de Luce solves crimes in her community. Where precocious children can get on my last nerve in stories, Flavia never does. I thoroughly enjoy her exploits and investigations. Highly recommended. In a way this is a stronger story than the earlier (delightful) books in the series. Flavia has been an archetypal childish heroine, a British Anne of Green Gables who could hold her own with Tom Sawyer. In The Brinded Cat she is growing up, but in a way true to her character. She has flashes of insight into her own motivations and those of others that we haven't seen in the earlier books. 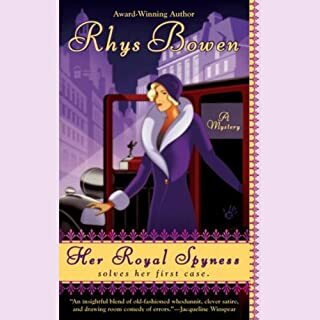 She is just as amusing (and auto-amused) as always, and the story follows a similar trajectory--discovery of a corpse, detection, resolution--but there's more to this book, and in the end we begin to see where the story may lead. Thomas the cat must be Thomasina or a very rare mosaic, if feline coat color genetics are to be believed. And I'd like a better-explained wrapup of the author-turned-woodcarver mystery. But given the quality of the whole, I'm happy to settle for less. 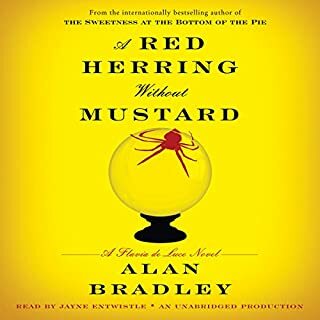 Alan Bradley is just Brilliant. I love these books as much if not more then Harry Potter . They are just so cleaver and I laugh out loud . Can't wait for the next book . PS. Jayne Entwistle is perfect . A great performance. 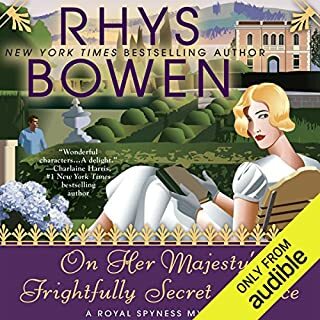 Oh it was so good to have Audible's version of this Deluce story to immerse myself in jolly old England (from Flavia's point of view.) I adore these tales and again Jayne's theatrical voices swept me away. 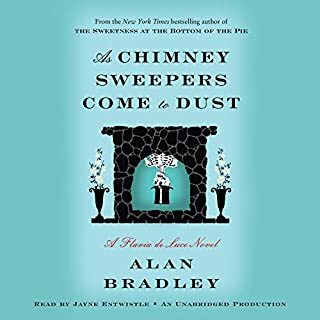 She makes Alan Bradley's characters come to life! I always feel smarter after listening to this witty young woman. Tears! Enough about the end. I love Flavia. So this new book is a welcome glimpse into her life. The writing is fantastic and Flavia's actions, even if a bit much for a 12-year old, are a delight to read. Dogger is a joy, the interaction between sisters is always interesting, and the new characters are well written. 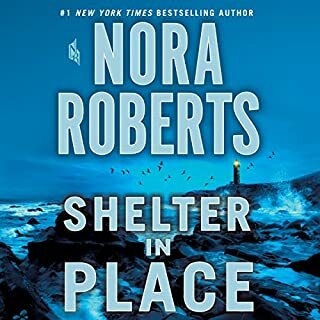 The other wondrous part of this series is the narrator. 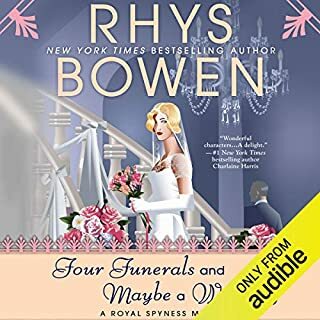 Jayne Entwistle is the best for these books! I found this latest chapter of Flavia's life to be confusing and much too sad. I miss the joyful Flavia of the first few books. cant wait long for the next saga!!! I always the flavia. I love watching her grow up. Abnd know she must preserver. Flavia seems to have lost her childlike good humor in this confusing episode. I found the lengthy time she spent with the dead body very unsuitable. 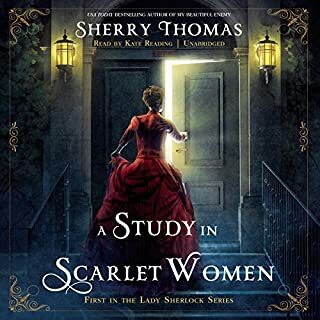 It is as if she went from being Nancy Drew to being Dupin in The Murders in the Rue Morgue. Can we ever go back? I will likely try one more because I like Flavia so much. I do appreciate that she felt some remorse for treating her young cousin in the same shameful way her sisters treat her. 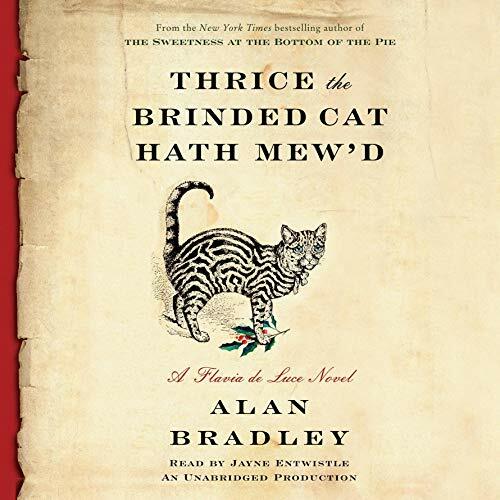 If you could sum up Thrice the Brinded Cat Hath Mew'd in three words, what would they be? Have you listened to any of Jayne Entwistle’s other performances before? How does this one compare? I can't recall if I have. Yes. I put my earbuds in, my iPhone in my pocket, and we spent many happy hours together with this book. Glad to see Flavia and family back and strong. The last book was a bit disappointing. But this is another goody! This is Flavia at her finest. 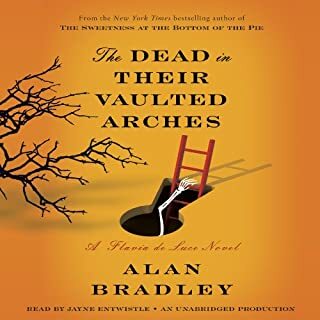 Alan Bradley delivers one of his best stories of Flavia DeLuce yet. Jayne Entwistle's performance is perfect. 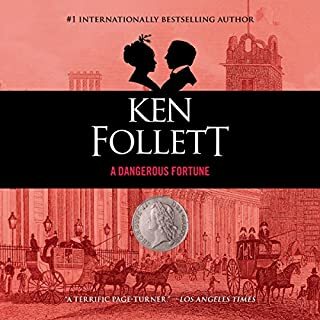 The only negative thing I can say is that I'm crushed to have to wait for the next book to find out what happens next to young Flavia.